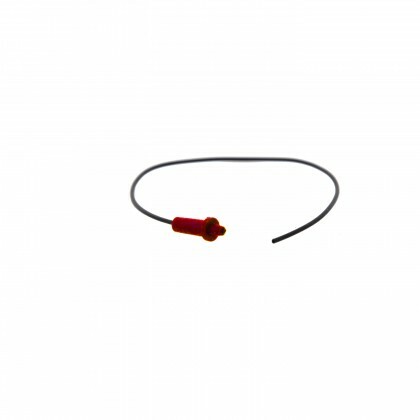 Flow Restrictor Purpose Flow Restrictors (also known as Flow Controls or Capillaries) are required for all reverse osmosis systems. The Flow Restrictor must be properly sized to the RO membrane capacity. 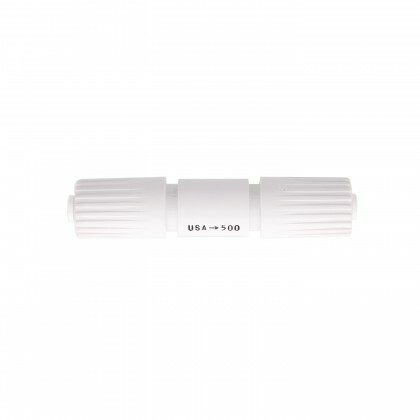 Flow Restrictors create pressure throughout the reverse osmosis membrane element and maintain a desired ratio of reject flow (to drain) and permeate (product) flow. 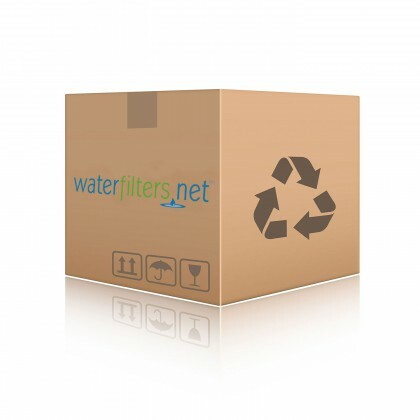 It is recommended that you replace the Flow Restrictor each time you replace your reverse osmosis membrane to keep your system operating at peak efficiency. 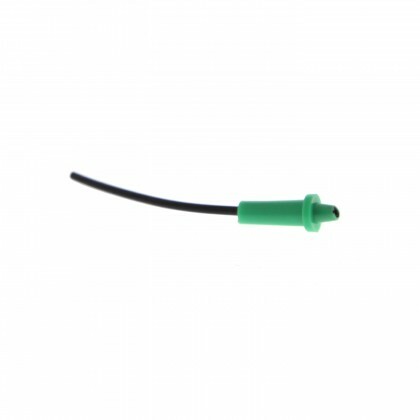 The number on the flow restrictor indicates the flow rate, in milliliters per minute. 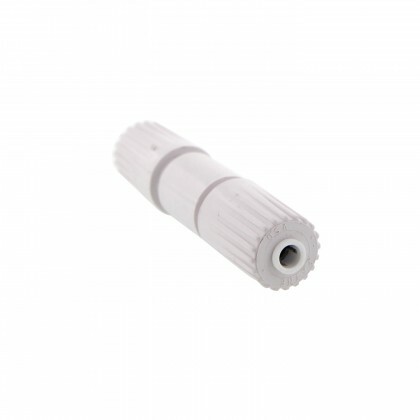 The flow restrictor should match your reverse osmosis membrane's production rate. 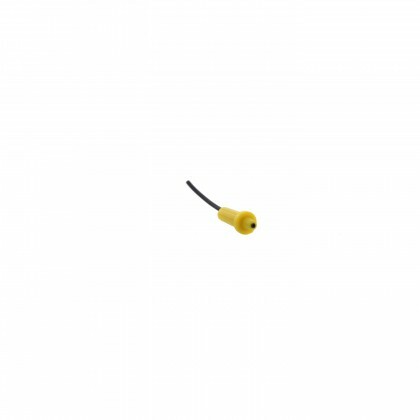 Inline Flow Restrictor (Recommended) Flow restrictors are easy to install. They are inserted into the 1/4" Drain Line Tubing. 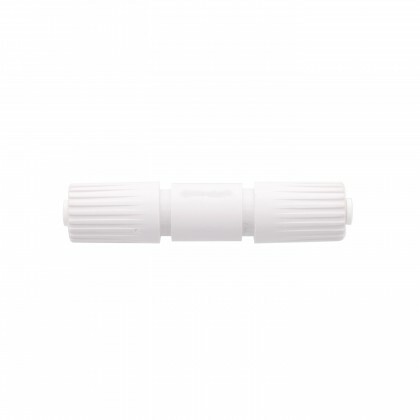 Simply push your 1/4" poly tube firmly into the quick connect fittings located on both the inlet and outlet ends of the flow restrictor and you are done. Flow restrictors are rated by a flow rate expressed as milliliters/minute (ml/min). The following table gives a guideline for selecting an inline flow restrictor for your RO membrane. Insert Flow Restrictor The insert flow restrictor is a small piece of plastic that fits inside of the brine outlet on the RO membrane housing or inside of the tube at the connection with the membrane housing. You will need to remove the connector and look inside of it to see the "Insert" if it is in the connector fitting. 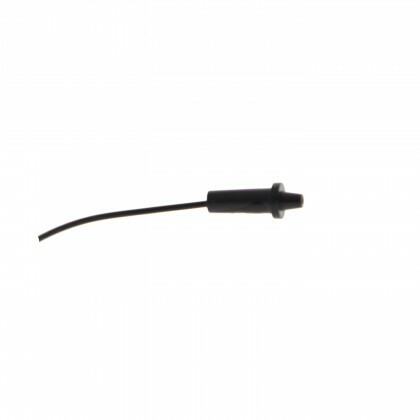 If it is in the end of the tube, you can see it by removing the tube from the connector. These must be situated correctly to perform correctly and are not as easy to use or change. The following table gives a guideline for selecting an insert flow restrictor for your RO membrane. How to Increase the Gallons Per Day (GPD) of your RO System If you have a standard sized membrane, you can increase GPD of your Reverse Osmosis System in order to increase the daily production capacity and the speed at which the RO water is produced. This will ensure water is available at busy times of the day and also ensure adequate flow to the ice maker. If the ice maker does not have enough flow, it can burn out. The reverse osmosis membrane upgrade is simple on most reverse osmosis systems. (1) Determine if you have a manifold system. If you have a manifold system, you cannot upgrade. 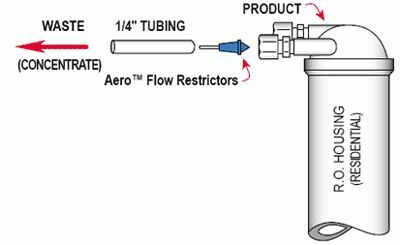 A manifold system is one that makes the connections in the plastic head without using tubing to connect the separate components. Manifold systems must use the original size membrane. (2) Determine if you have a standard membrane. You know it is standard if the membrane inside the membrane housing is approximately 1.75" W X 11.75" L. Standard membranes include TFM-24, TFM-50, TFM-100, TW30-1812-36, etc. (3) If you have a non standard sized membrane, you will need a new standard RO membrane housing. (4) Choose the RO membrane GPD for your standard housing. (5) Select the matching flow restrictor per the chart above. The RO membrane GPD and flow restrictor must be matched to keep the proper balance between waste water and pure water. If they are not matched, this can cause excessive waste to the drain or premature membrane fouling. Under-sizing the flow restrictor in order to run the system at higher recoveries results in premature scaling of the RO membrane, shorter membrane life, and/or an increase in higher-TDS product water. (6) Remove the old flow restrictor and install the new one. Never use two flow restrictors at the same time on a reverse osmosis system. This will alter the pressure applied to the membrane and negatively alter its performance.